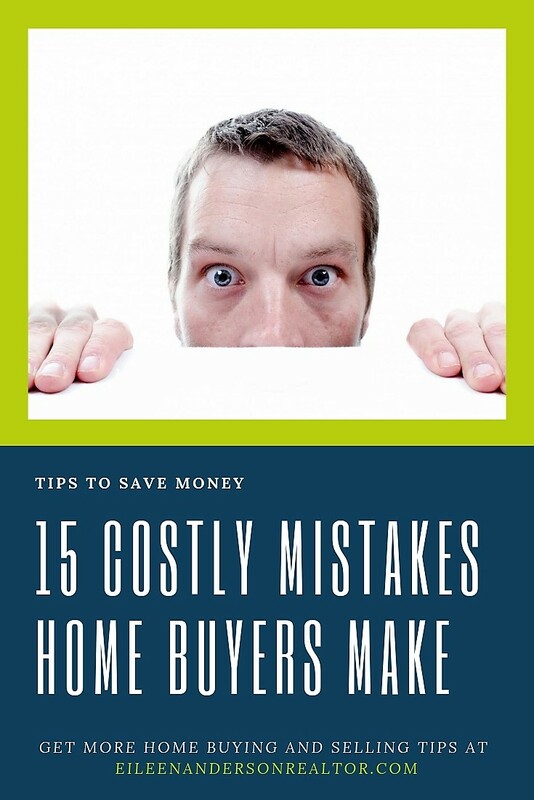 It is very common to get caught up in the excitement of purchasing your first home, however, don’t let yourself make these 15 costly mistakes homebuyers make. There are critical steps you should be taking, in the right order, before you write an offer and put down a deposit on a home. You may lose that deposit or end up purchasing a home that may cost you more that you can affored. With the proper education from a professional agent your home purchase will be seamless. First Time Home Buyers Beware of These Costly Mistakes! It is important to use a local lender that will provide the best service for your personal needs when purchasing a home. Beware of internet lenders. Meet the lender in person. Realtors® are not compensated for their referrals. They refer these lenders in good faith as a gesture to help the loan close on time, with as little drama as possible from the mortgage company. Delayed closings are a nightmare for all involved. Make sure that your mortgage company and title company have all the relevant documentation and information needed from you to close the transaction. Your REALTOR® should be communicating with all parties involved to make sure that the transaction is being coordinated properly. To get the most affordable mortgage, apply with multiple lenders. Compare offers and pay attention to details, such as whether you must pay points to get a lower interest rate. When comparing all loan terms, look for a loan that has the lowest total cost, including closing costs and interest over time. Try to put 20% down to avoid paying PMI every month. PMI is insurance that protects your lender if they must foreclose on the property. Try to save enough before buying to avoid this expense. If you are going with a “first time” home buyer program and putting less money down, this can be fine as long as you are aware of your mortgage options and have made an educated descision in your lending choice. A common mistake for first time home buyers is that they hire the first Realtor® that they meet. This is like rolling the dice on an integral part of your home buying process. 90% of the real estate sold in most markets is sold by the top 10% of Realtors® in that market. The Realtors® in the top 10% of your local market are the ones who you want to work with in most cases. They are the most knowledgeable, experienced, and professional. This is why they end up selling so many homes. Be sure to ask the right questions when interviewing REALTORS® . 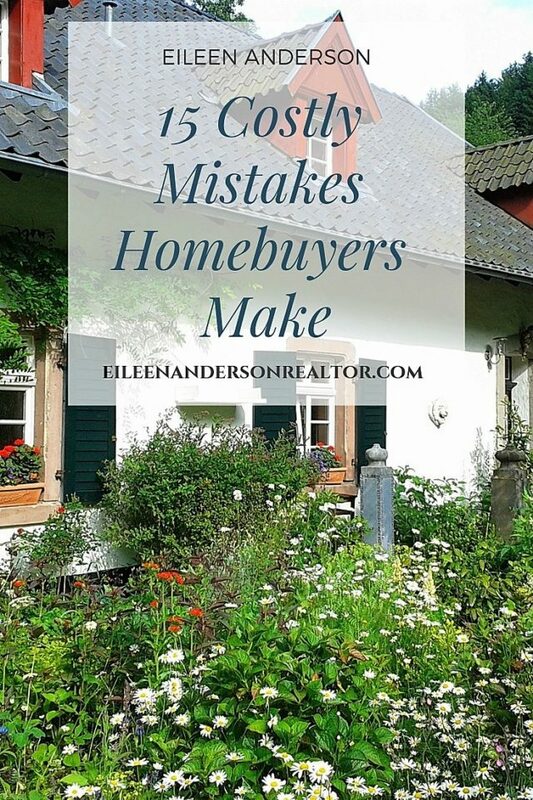 This is a huge misconception and mistake that home buyers make. Some buyers feel that can get a better deal if they use the listing agent to purchase a home. Who is the listing agent really looking out for buyer or seller? Always use a buyer’s agent. Using the listing agent is called dual agency because the listing agent is representing both sides. Not a good idea! Understanding dual agency is important. Always talk to a mortgage company to find out how much you can afford and make sure you have good credit. Don’t head out in search of a home only to be disappointed that you can’t actually afford it. If you find you have credit issues you can then work with a professional to understand your credit report and get some tips on improving your score. You may find that you qualify for more than you really want to spend each month. It is important to stick within your means and that you are not living paycheck to paycheck. Make sure you are financially ready to buy now and learn how to budget when buying a home. Mortgage points are fees paid directly to the lender at closing in exchange for a reduced interest rate. This is also called “buying down the rate,” which can lower your monthly mortgage payments. One point costs 1 percent of your mortgage amount (or $1,000 for every $100,000). An emergency fund is an account with funds set aside in the event of a personal financial dilemma, such as the loss of a job, a debilitating illness or a major repair to your home. Learn how to budget for your home purchase. Don’t overbuy just because you qualify for a large loan. 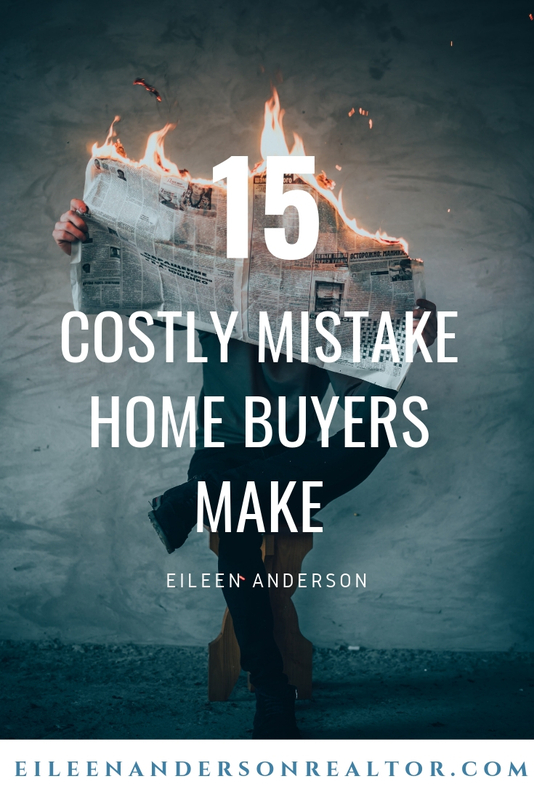 This can be a huge and costly mistake for a homebuyer due to the high costs of home repairs such as a new roof or furnace. Many unexpected expenses may arise that you will need to make sure you have money for. When it comes to moving, you really need to expect the unexpected. You do not want to be in a situation where you don’t have funds needed to cover expenses you weren’t prepared for. Talk to your agent or lender about how you can finance your closing costs. First Time Home Buyers may be tempted into buying the first home they see. They may be enamored with the home décor and disregard the train tracks in the back yard. Always research any new developments that may be coming up in the area. Make sure you choose a property that will have equity and resale potential and that is a sound financial decision. HGTV, Property Brothers, and other home improvement shows have provided an unrealistic picture of the home buying process. Many millennial home buyers have special needs and need to be guided. It is never a good idea to try and save money on skipping a home inspection. This could end up being a very costly mistake for any homebuyer. It is the buyer’s responsibility to understand as many details about the property before the purchase. Home inspections reveal the inner workings of the home, including safety issues, structural issues, or big ticket renovations. You can also learn positive features and how to work things in the home. Having a home inspection will allow your realtor to request repairs or a price reduction and negotiate a better deal on your behalf. Never skip the home inpection to save money. It will cost you more in the end. Make sure the home does not have illegal room additions and renovations that were done without the proper permits. This can affect the insurance, taxes, usability and most of all the overall value. It is improtant to know everything about the house that you are buying and know that the home is in good working order. When you go to sell your home, there will always be a home inspection and an appraisal conducted by certified professionals. This is just part of the selling process, and it helps buyers know what they are getting into before they buy the home. Don’t make an expensive purchase when buying a home. NO new cars, furniture, boats etc. until after closing. Your credit will be pulled prior to closing to make sure you still qualify for a loan and these purchase will show up. Do not change jobs! Changing jobs during the loan approval process might raise a red flag to your lender which could affect your loan application. During the loan application process, your lender will review your loan package and ask for statements going back a few months. They will be looking at a paper trail to document your source of funds. Changing banks or moving money around to different accounts can make it difficult to document your funds. This is a very common mistake that home buyersmake when purchasing a home. Home buyers assume that once the apply for the loan, they then have clear sailing to closing. Not true! There are several things you must do financially when buying a home. Even though you have been pre-approved for the loan, your lender may need more information along the way. It can frustrating, but simply get this information to the lender in a timely maner. They will need copies of your bank statements, paystubs and other documentation. Failing to submit required documents can result in a delay in your loan approval and closing date. Ask the current owners what they paid as an average throughout a year for their utility bills. This is a good indication what it will cost you in the future. Know you can decide if these utlity bills fit into your budget. You may get a greal deal on a home but high utility costs can be a deal breaker. When you finally have all of your ducks in a row and find the house your want to buy don’t lowball unless it is grossly overpriced. Your agent should be able to guide you with a market analysis of the home. If your search tells you that you have found the right property, don’t “sleep on it”. If you really love the home don’t hesitate to make an offer! There is nothing more frustrating and disappointing for a buyer than losing a home that just went under contract. “Low-Balling” an offer can also put you in a position of being in multiple offers. In this situation, you will most likely have to bid “over asking” to get the home. For more infomation on home buying or selling check out these Top Real Estate Articles by agents across America and beyond. Real Estate and gardening information was provided by Eileen Anderson, recognized leader in her field. If you are looking to hire a top realtor, Eileen can be reached via email at Eileen@eileenandersonrealtor.com or by phone at 860-966-2112. 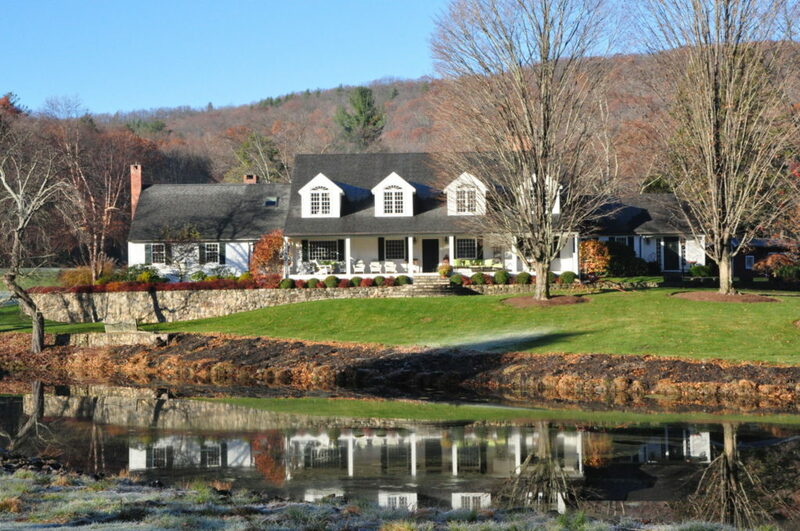 I am licensed for residential real estate sales in the state of Connecticut including but not limited to the following CT towns: Avon, Bloomfield, Burlington, Barkhamsted, Bristol, Canton, Colebrook, Granby, East Granby, Hartland, Hartford, Suffield, New Hartford, North Granby, Farmington, Simsbury, Suffield and West Hartford, CT.